Pace University New York City students Nour Moussa El Din ’17 (right) and Luke Froude ’15 (second from right), representing Uganda in a simulation of the Economic Commission for Africa at the 2013 National Model UN Conference. Photo by NMUN. The 2013 National Model United Nations (NMUN) here in New York provided its participants with great awareness of global issues. Specifically, in our committee, the Economic Commission for Africa (ECA), delegates realized that the conference was not about whose paper would pass, and whose would fail. Rather, success was about collective cooperation and compromise that would eventually lead to a solution that leaves a majority happy. The conference also gave delegates an opportunity to understand international political theory. As an international student myself, I always enjoy meeting people from all around the world. Aside from the actual conference, I got to socialize with people from Germany, France, Belgium, England, Nigeria, Italy, Russia, Taiwan, China and many other countries. It’s an opportunity not to be missed, NMUN 2013 will always be something I remember. 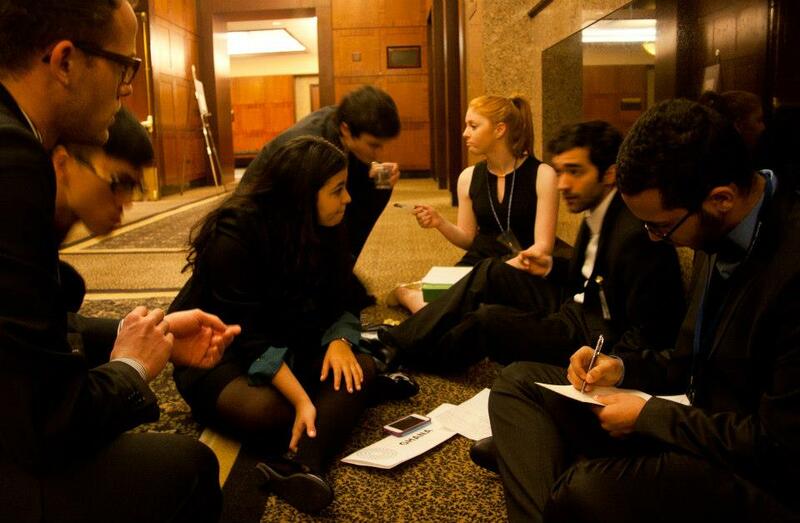 To read more about Pace University’s successful participation in NMUN 2013, click here. – Nour el din Moussa ’17, who, along with his partner Luke Froude ’15, was awarded an “Outstanding Position Paper” award for representing Uganda. This entry was posted in Student Delegate Blogs and tagged Economic Commission for Africa, Luke Froude, National Model United Nations, New York, NMUN, Nour Moussa El Din, Pace University, Uganda. Bookmark the permalink.